One of the great things about being a food writer is the opportunity to explore food cultures that are new to me. 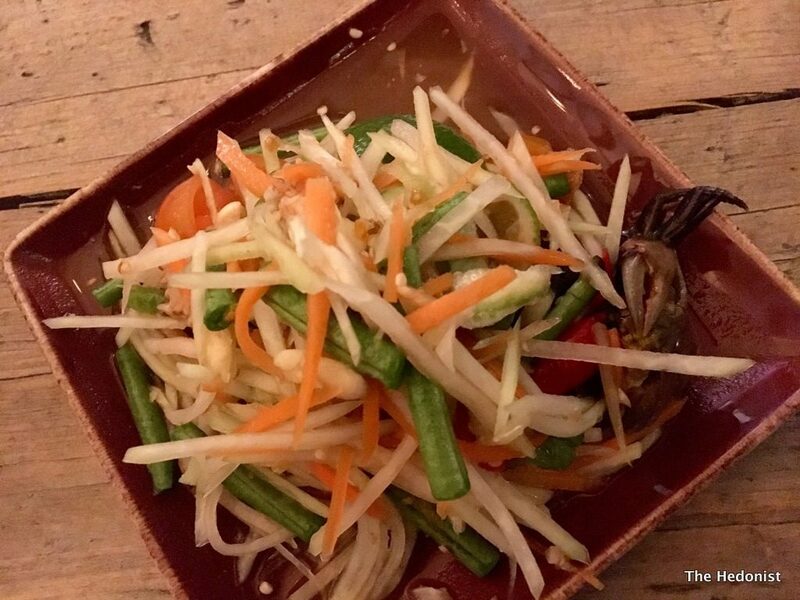 Lao Café is the only restaurant in London to serve Laotian food so I was pleased to have been invited to review. 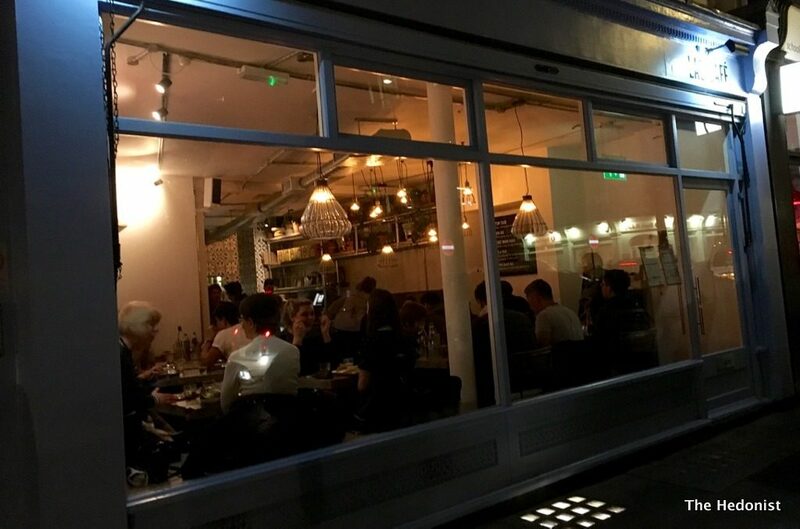 It has been launched by the team behind Rosa’s Thai Cafe which has a reputation for authenticity and value. 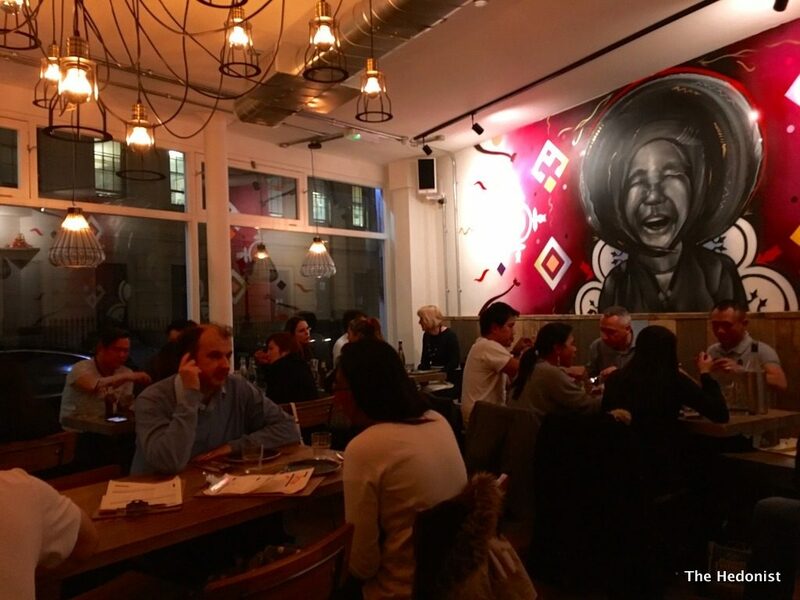 Rosa’s Head Chef and co-founder Saiphin Moore’s family are originally from Laos and still embrace the region’s traditional food and cooking methods. Although influenced by the food of neighbours Thailand, Cambodia and Vietnam and by its past as a French colony, Laos has an identifiable cuisine with no coconut milk being used, lots of fresh herbs, fiery sauces and foraged ingredients including ants’ eggs, frogs, insects and banana flowers. The room is basic but comfortable with banquettes at the side and wooden tables and chairs. There is attractive Laotian street art on the walls but what was really exciting was to read such an unfamiliar menu. Whilst Fiona and I were plotting the best route through it we tried our Wanderlust Sauvignon Blanc (£24.50) from Marlborough in New Zealand. It was decent value and with its slightly sweet tropical fruit and grapefruit flavours really came into its own as a match for the food. Pickled crab Tumm Papaya salad (£9.50) was wonderfully hot and sour crunchfest with the pungent crab flavours spreading through the whole plate. I loved the Makhuer Yao chargrilled aubergines (£8) which were salty with a slight bitterness from the aubergine. 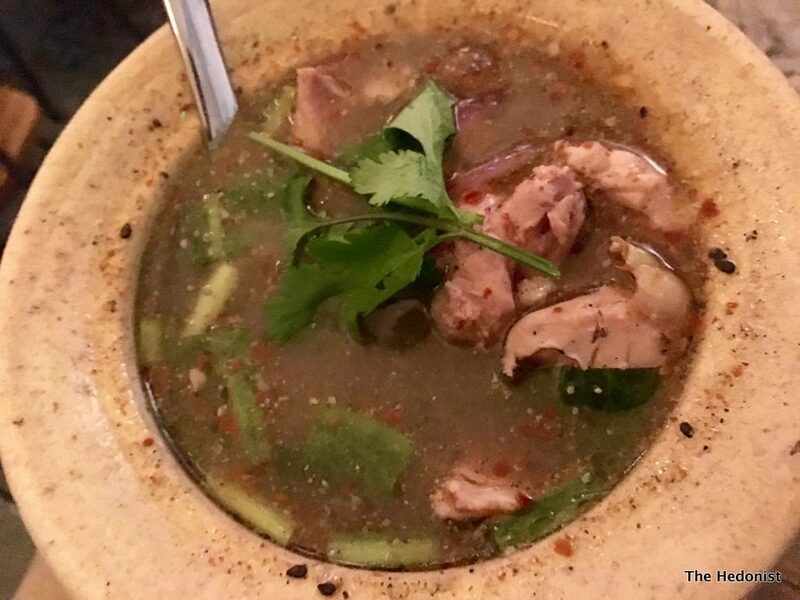 The food was tasting uncompromisingly authentic and the high percentage of happy Laos in the joint seemed to support that premise. 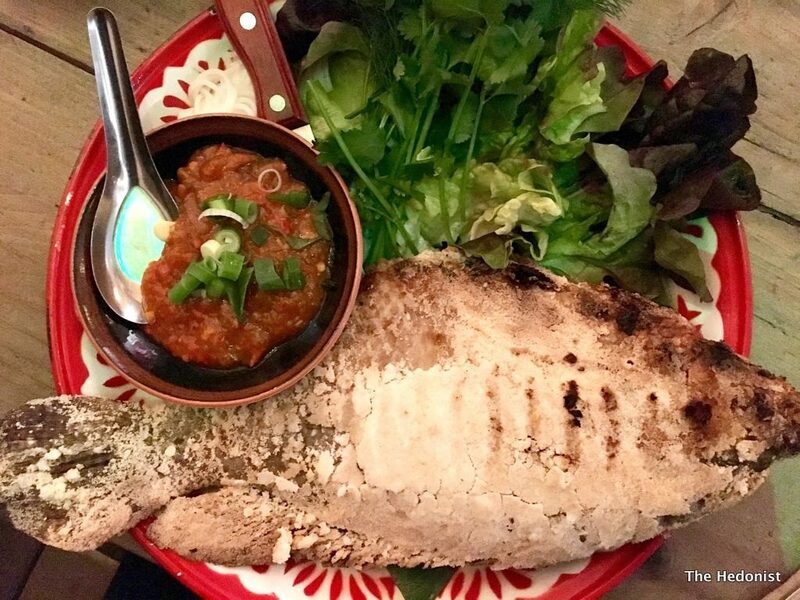 Pla Pao Gluer salt-grilled whole fish, served with aubergine chilli dip, vermicelli noodles and fresh herbs (£17 for two) was the star of the show. The earthy fish was baked in salt and with the fragrant mint, coriander and dill and chilli sauce made a fantastic mouthful. Grilled sticky rice (£3.75) which came in a patty gave the rice a caramelised crunch. It was great to try a new take on Asia’s favourite starch. Tom Zaap Gai Gnar Dum chicken soup and toasted black sesame (£13) again had those familiar hot and sour flavours in a rich chicken stock. Perfect winter comfort food. 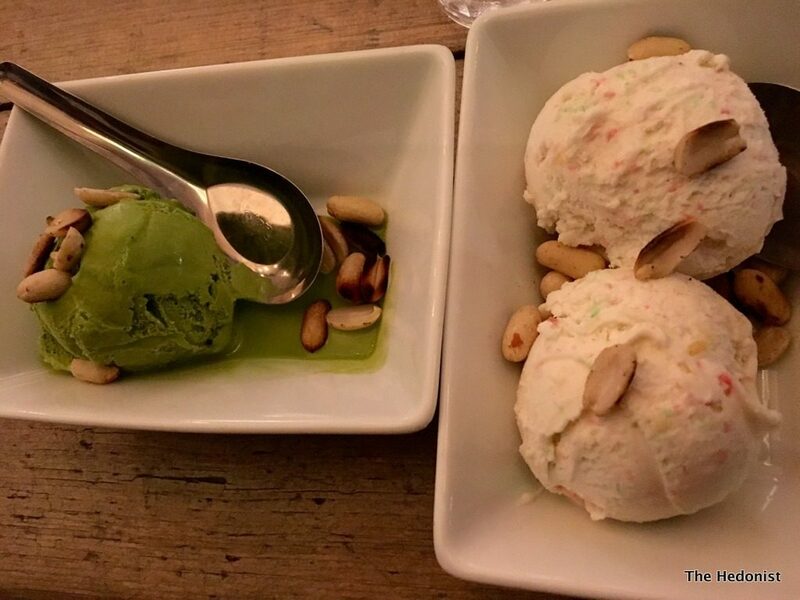 Coconut and green tea ice creams were rich and creamy and came with toasted peanuts. After the spice it was a lovely way to end the meal. We didn’t go for the Malang Tod (crispy fried bugs) or the Ohr Hed (mixed mushrooms soup with fresh herbs and ants’ eggs) because we are wimps. 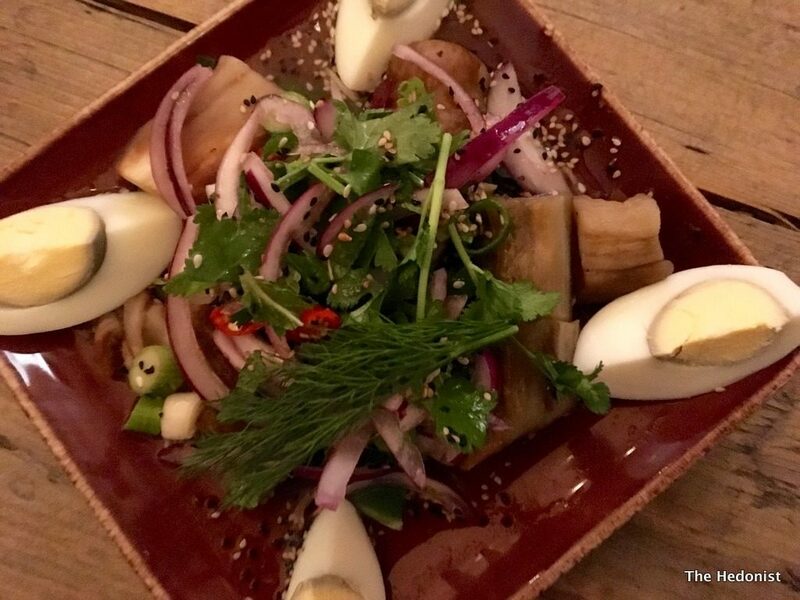 But the food at Lao Café is vibrant and different enough anyway to justify a visit. If you are looking for fresh flavours and food with a kick it’s well worth a visit.